KEEP THE LOCALTOPIA VIBE GOING ALL WEEK LONG! 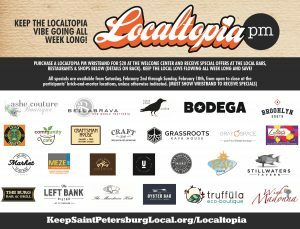 Purchase a LOCALTOPIA PM wristband for $20 at the Welcome Center and receive special offers at the local bars, restaurants & shops below. 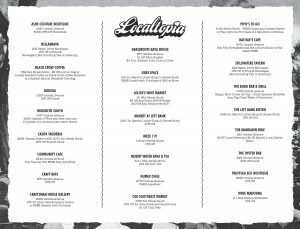 Keep the Local Love flowing all week long and save! © 2019 Localtopia. All Rights Reserved.